A black and white photograph included in the papers of a Maine author and artist Ida Sedgwick Proper, who first came to Monhegan Island on a vacation in 1925 or 1926 and bought a house which became her home for thirty years. The exact location or date of the photograph is not identified. 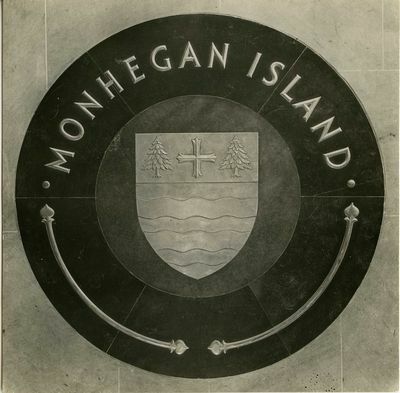 Letters on the marble seal read, "Monhegan Island." The photograph is stamped on the back, "Photographed by A. Leonard Gustafson."